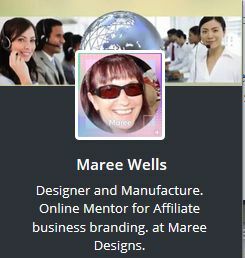 Welcome my name is Maree Wells. I work full time surfing then promoting my ECA website. plus SFI gateway links. I originally joined in 2010. Due to the Christchurch Earthquakes my account become inactive. After I relocated I reactivated my account in June 2013. I have invested thousands of dollars and hours researching on line. Designing my Daily Work Schedule. Using Free Social Media outlets daily for team building. I am updating this sales package, as so much has changed since first offering it in my ECA Store in 2013. YOU may set it up as an Auto Renewal Monthly. Gain access to five of my top Social Media Networks. I will introduce you to my A-Z Social Media E Course. By the end of the series you should be quite the expert with everything required to know on how to promote and business brand yourself. Receive all my News and Updates when you register to receive my boot camp training series I have designed. Each month receive a traffic view package of 2000 credits at my DWSEarner advertising porthole. For any sort of success you need a daily plan to follow. YOU need to set long term goals to achieve any sort of success on line. The internet can be a very dangerous place if you are new to affiliate marketing. Promises of wealth and fortune over night. Never happens. Let me share with you the daily work schedule I follow to get SFI sign ups and sales. Gain access to all my new Training Video's and Business Articles. These Video's and Training Articles cannot be found anywhere else. Because I have designed them and hold the copyright to them! By learning to create your own lead system! You can then co-op that system with those you refer into SFI for maximum leverage. Yes, support is critical, but lead generation with communication is the life of your business. Have you joined program after program. Waiting for your sponsor to make contact. Overwhelmed and frustrated, did you give up before even getting started. Stress no more. Its all about picking one program and succeeding by only promoting this site at all the down line builder advertising portholes I will introduce you to. You need to be consistent to get anywhere in internet marketing, not just promote for a day then giving up saying internet marketing is a scam. 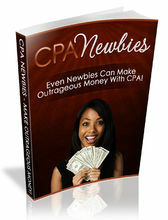 If instant riches were that easy on the internet, everybody would be quitting their regular jobs! All I can do is show you how I earn daily. The next step is up to you. 1...... Gain access to my daily work schedule I follow. 2...... Learn how to use Social Media FREE to generate signups and sales. 3...... 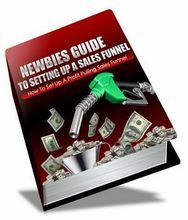 Receive link to my sales funnel. Simple log in sign up free. Add your SFI link. You are done. Set then forget earning as you sleep. No need to stress, I have done all the donkey work for you. My goal is to help you achieve your Leadership badges. Sharing my training videos with step by step easy instructions to follow. I work full time surfing then promoting my ECA website. plus SFI gateway links. I originally joined in 2010. Due to the Christchurch Earthquakes my account become inactive. After I relocated I reactivated my account in June 2013. I have invested thousands of dollars and hours researching on line. Designing my Daily Work Schedule. Using Free Social Media outlets daily for team building. YOU may set it up as an Auto Renewal Monthly. Gain access to five of my top Social Media Networks. I will introduce you to my A-Z Social Media E Course. By the end of the series you should be quite the expert with everything required to know on how to promote and business brand yourself. Receive all my News and Updates when you register to receive my boot camp training series I have designed. Each month receive a traffic view package of 2000 credits at my DWSEarner advertising porthole. For any sort of success you need a daily plan to follow. YOU need to set long term goals to achieve any sort of success on line. 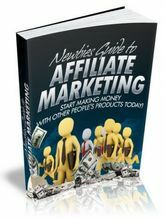 The internet can be a very dangerous place if you are new to affiliate marketing. Promises of wealth and fortune over night. Never happens. Let me share with you the daily work schedule I follow to get SFI sign ups and sales. Gain access to all my new Training Video's and Business Articles. 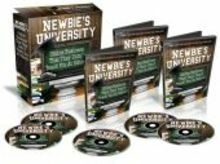 By learning to create your own lead system! 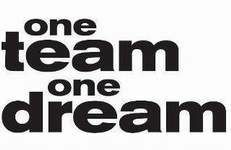 You can then co-op that system with those you refer into SFI for maximum leverage. Yes, support is critical, but lead generation with communication is the life of your business. Have you joined program after program. Waiting for your sponsor to make contact. Overwhelmed and frustrated, did you give up before even getting started. Its all about picking one program and succeeding by only promoting this site at all the down line builder advertising portholes I will introduce you to. You need to be consistent to get anywhere in internet marketing, not just promote for a day then giving up saying internet marketing is a scam. If instant riches were that easy on the internet, everybody would be quitting their regular jobs! All I can do is show you how I earn daily. The next step is up to you. 1...... Gain access to my daily work schedule I follow. 2...... Learn how to use Social Media FREE to generate signups and sales. 3...... 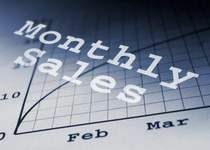 Receive link to my sales funnel. Simple log in sign up free. Add your SFI link. You are done. Set then forget earning as you sleep. No need to stress, I have done all the donkey work for you. My goal is to help you achieve your Leadership badges. Sharing my training videos with step by step easy instructions to follow. Sorry I only understand English. This person received the E Book plus video training links via email. This is why I stress you need to read to succeed. Take your time to learn all there is to know about SFI. Thank you my aim is to support everyone on how to be a success with SFI. Email was sent with a down load of my Free Bonus Ebook ABC 4 SFI. YOU need to check emails. As valuable information on how to work with SFI Was sent. The product was sent, The member needs to check emails. He has made no communication with me. So sad. A-Z business Plan in a box training series.